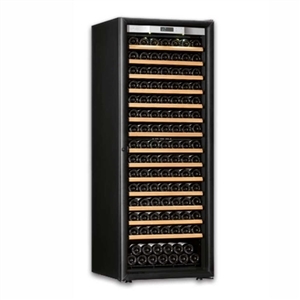 Transtherm Ermitage Glass Door Wine Cabinet Black, NEW (#17035). 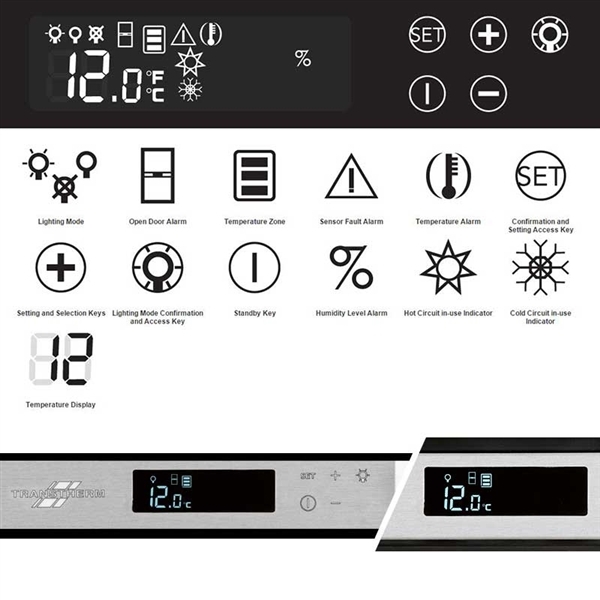 The digital thermostat allows you to set and monitor your wine collection at the touch of a button. 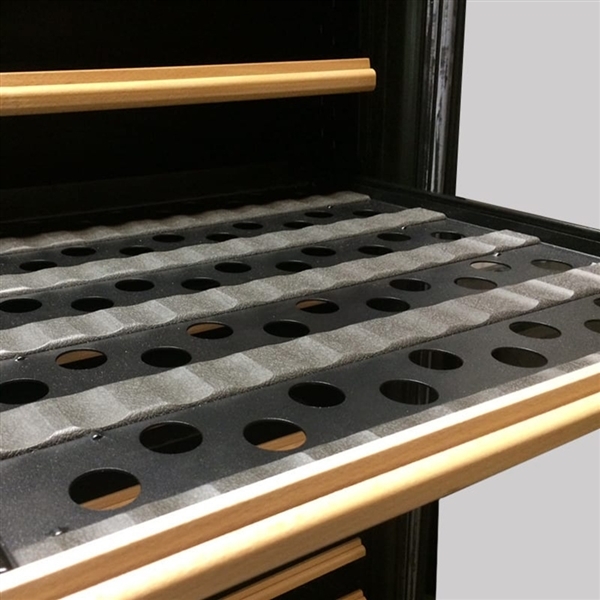 Its humidity control system not only reduces excess humidity, but also allows you to increase the humidity level by adding water to the system. 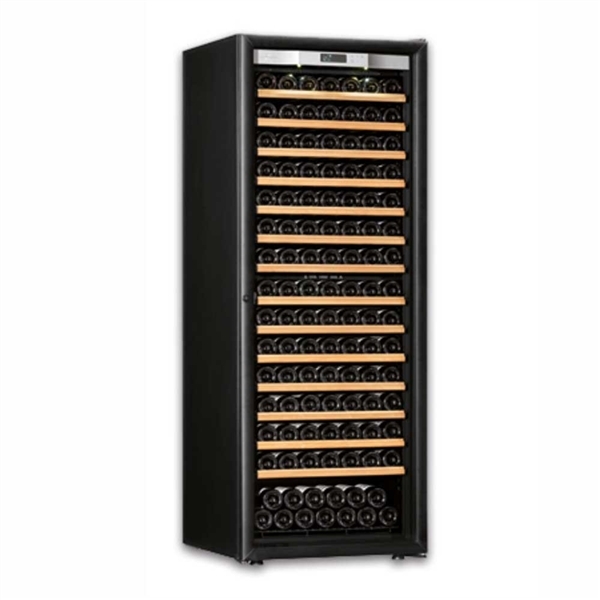 The integrated heater element allows the wine cellar to be placed in extreme environments ranging from 32 to 95°F. 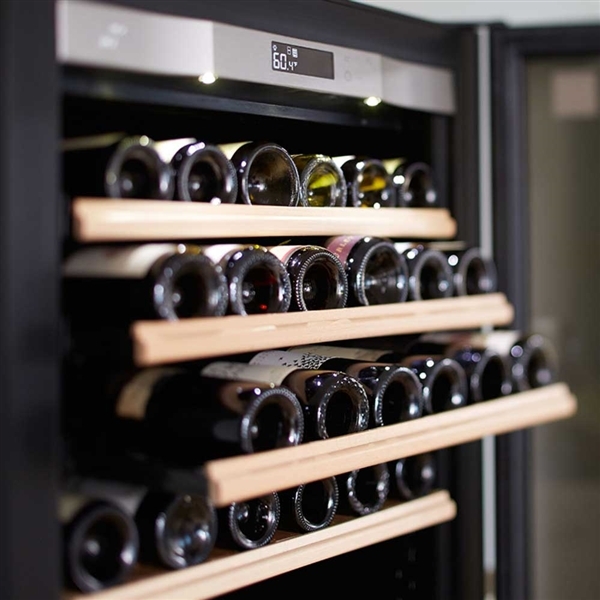 Ermitage wine cellars have 1 temperature zone that maintains ideal conditions from 43 to 64°F and 55%-80% RH for storing and chilling your wine collection. 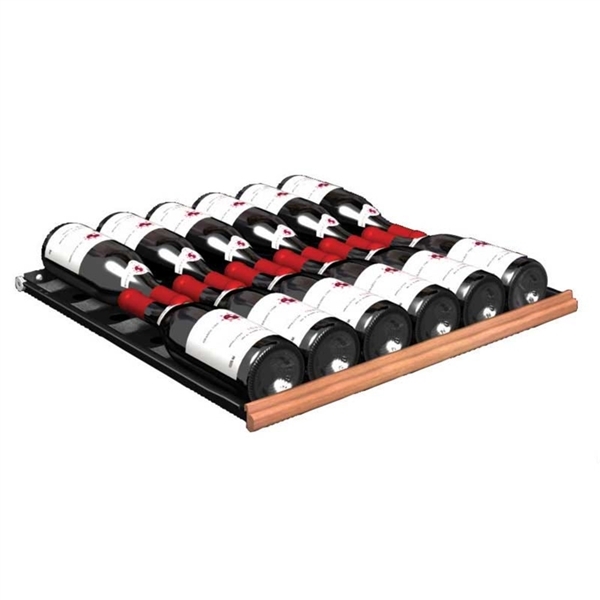 We offer Ermitage wine cellars with 14 adjustable rolling shelves (12 bottles per shelf) and 1 half shelf on the bottom. 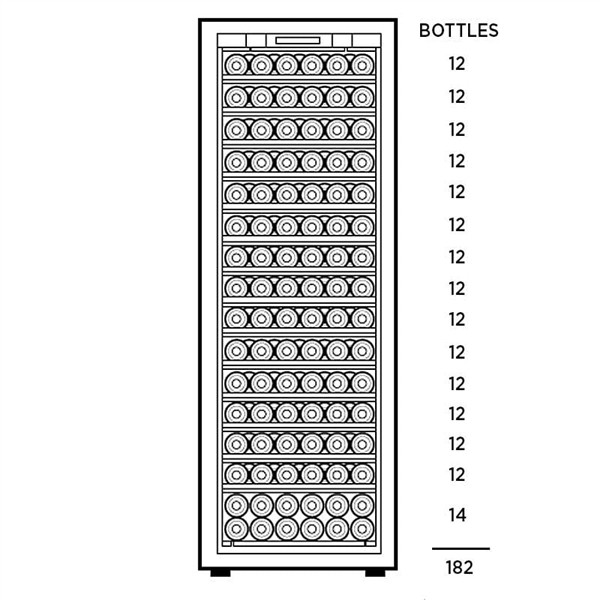 Using this configuration, the wine cellar holds 182 bottles. 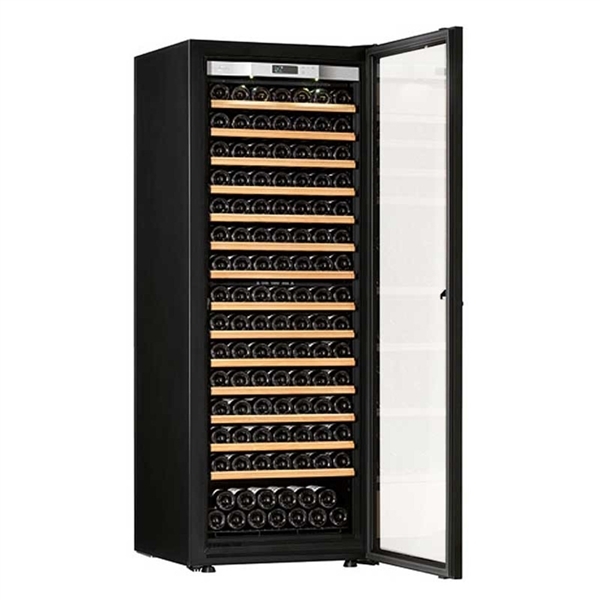 Placement Requirements: Ermitage wine cabinets require 4 inches of clearance behind the cabinets, and are designed to operate in environments ranging between 0-35°C/32-95°F .